Paint Splash sessions are generally not for children who don't like having messy hands and feet. However the session will only get as messy as your child wants. Perfect for birthdays from 2 to 4. 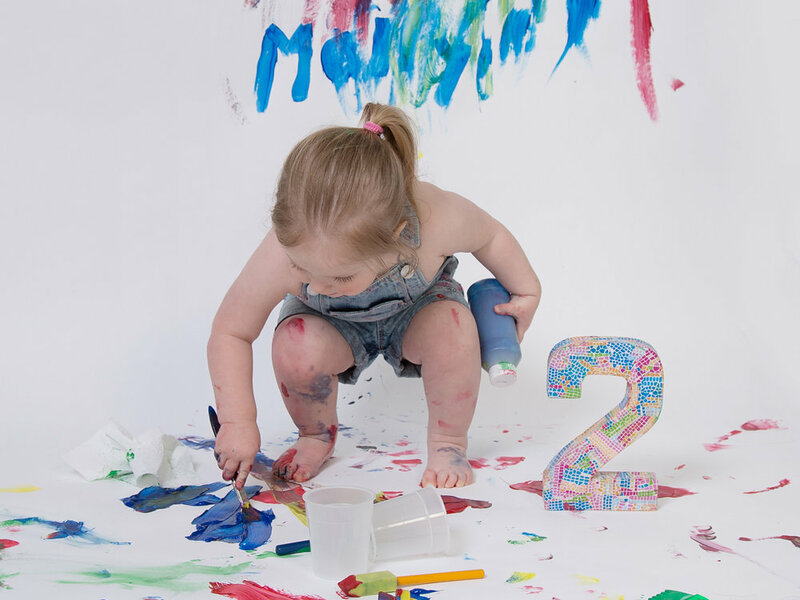 The price of the standard package includes Paint Splash photo session, paints, hand print souvenir picture to take home, a wash in the tin bath and a few more photos while in there. 20 digital images by direct download, a digital version of the storyboard and a free mobile gallery app for your phone. Add on a storyboard print, an 8GB usb drive and MP4 video for just £50. Second child/same session charged at +£45 and includes an extra 10 digital images. If you'd like to book, please click the booking form button below which will route you to an online booking form. Once submitted there will be a booking fee of £50 to pay and the remainder is due on the day. If you'd like to book, use this booking form.